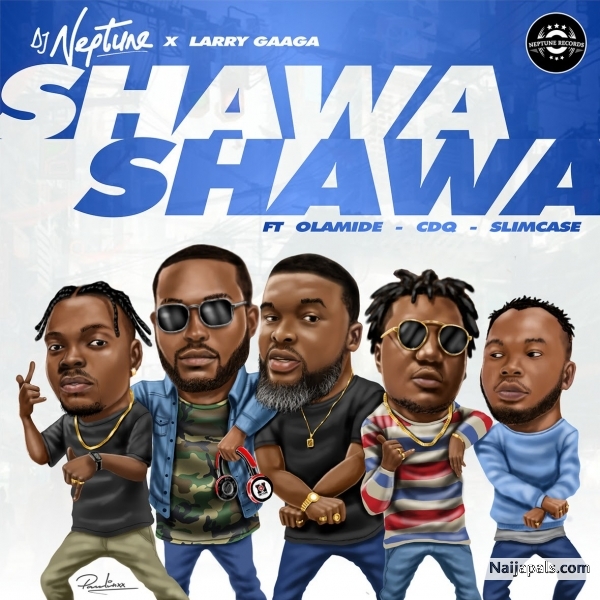 Award winning renowed super star disc Jockey DJ Neptune delivers a new monster collaboration titled “Shawa Shawa” featuring Larry Gaaga, Olamide, CDQ and Slimcase. Shawa Shawa is one of the tracks on the yet to be released GREATNESS album by international DJ Neptune, and this track was produced by Masterkraft. The star studded GREATNESS album by DJ Neptune is scheduled for release in the month of May 2018, but for now click your download button and enjoy Shawa Shawa by DJ Neptune. Alaye tun sun; ta lo m’egun wa? Mo ma ti gbagbe ke; apa mi da? Ese mi da? Ye; apa mi da?